For Crimeans, the journey to citizenship is not just cumbersome, it also carries a hefty price tag. A one-letter typo in her new passport, a Russian "M" for muzhchina instead of a "Ж" for zhenshchina, meant that, in the eyes of the law, Crimean resident Olya was a man. It also meant that minutes after being handed her new internal passport, confirming her as a Russian citizen, the document was confiscated. But standing in line outside Yalta's Federal Migration Service headquarters to pick up her corrected passport, Olya, who only gave her first name, seemed unfazed. After a one-year battle defending her claim to Russian citizenship, the four extra hours spent in the migration service's jam-packed corridors seemed manageable. At least 100,000 Crimeans were unable to obtain Russian citizenship in the year following the peninsula's annexation by Russia, federal human rights ombudswoman Ella Pamfilova estimated in a report published on her department's website in May. Often, as in Olya's case, a failure to comply with a small formality has led to a Kafka-esque legal battle. Most of the thousands of those living without official Russian citizenship are people who were born in mainland Ukraine but, despite spending years and sometimes decades living and working in Crimea, never re-registered as residents of Crimea. Under Ukrainian rule, authorities mostly turned a blind eye to the 'illegal' section of the Crimean population. Crimea was, after all, part of the same country. But since Russia's annexation of the peninsula in March last year, these Crimeans have been branded foreigners on what was once their own soil until they convince the authorities otherwise. Following Russia's formal annexation of the peninsula on March 18 last year, all Crimean residents — a mix of ethnic Russians, ethnic Ukrainians and Crimean Tatars — were automatically declared Russian citizens unless they made use of a one-month window to renounce their new status. In practice, however, the burden of proof was on Crimeans themselves — until they acquired a Russian passport, they would de facto be considered foreigners. With just over 1.98 million people living in Crimea at the time of the annexation, according to Crimean statistics service Krimstat, supplying the entire population with Russian documentation by the end of the year was always going to be a colossal task. "When I first applied for a Russian passport, they told me I was 2,456th in line," Olya told The Moscow Times outside the Yalta branch of the Federal Migration Service, or FMS. 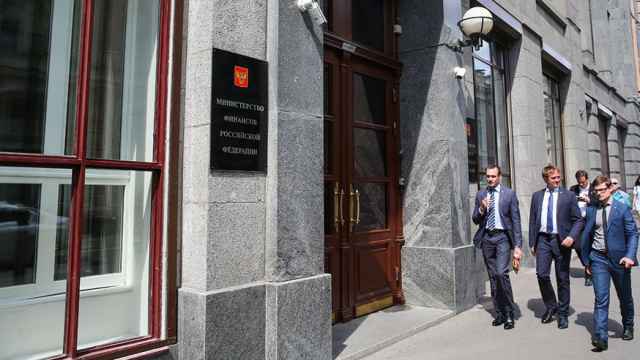 Civil servants reportedly worked up to 14-hour shifts, seven days a week, to plough through the barrage of paperwork in time for the end of the transition period in December, the Moskovsky Komsomolets newspaper reported in October. At least 100,000 Crimeans were unable to obtain Russian citizenship in the year following the peninsula's annexation by Russia. But civil servants' labor alone would not be enough for tens of thousands without a Crimean residency stamp. 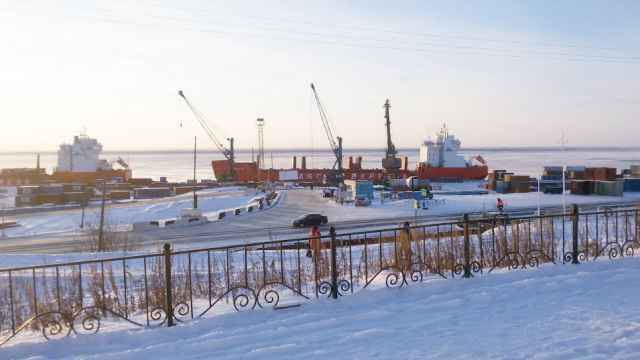 Before applying for Russian documentation, this group would first have to prove in court that they had been living on the peninsula at the exact time of the annexation. 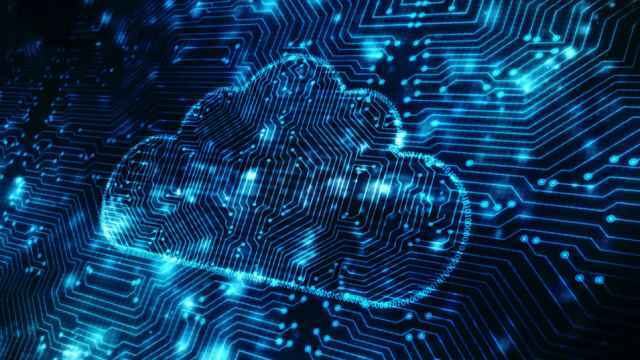 In a country where working off the books and operating within a shadow economy was more rule than exception, this has proved arduous and, for some, impossible. In order to receive their internal passports, applicants must present the court with pay slips, proof of enrollment, lease agreements, receipts of medical appointments and employment contracts as well as witnesses who will testify on people's behalf. Further complicating matters, Crimea also received a wave of immigrants fleeing the conflict in eastern Ukraine. Crimea's court system was suddenly tasked with distinguishing Crimea's shadow population from Ukrainian refugees — some 200,000 people, according to ombudswoman Pamfilova — who fled to the peninsula after the annexation. Even clearance from the court, however, is no guarantee of success. Following a positive court ruling, the FMS conducts its own probe, known as the citizenship verification procedure, retracing the steps taken earlier by the court in a process that can take up to several months. Only after having been given the green light by both the court and the FMS can Crimeans move on to the final stage of applying for a new passport. For these Crimeans, the journey to citizenship is not just cumbersome, it also carries a hefty price tag. During the transition period, Crimeans were given several privileges — the stamp duty for a new Russian passport, 300 rubles ($5), was waived and they were allowed to submit their documents in the original Ukrainian. Russia's State Duma also recently signed a decree waiving the fee for Russian travel passports, driving licenses, license plates and residence permits — presumably because most Crimeans will be applying for those next. But the spirit of generosity has run out of for the tens of thousands who still do not have the initial document they need to get the judicial ball rolling: a Russian internal passport. For them, getting a passport will cost them the equivalent of at least half a month's wage. Since January this year, Crimeans have to provide professionally translated and notarized copies of their original Ukrainian documents in Russian — even though Ukrainian and Crimean Tatar are recognized as official languages. This can cost up to 5,000 rubles ($90). Applicants also have to take out their wallets for the initial court hearing — around 200 rubles ($4) — and the FMS' own verification of citizenship procedure, which costs 3500 rubles ($64). This is without calculating the cost and risk of taking unpaid time off work to stand in line. An elderly lady, who identified herself as Tanya and who spent three hours dozing outside the FMS office waiting in line, looked slightly flummoxed. 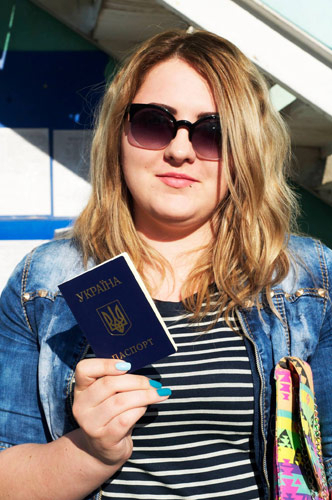 According to Crimea's FMS, however, by now everyone who deserves a passport has one. At the December deadline for registration as a Russian citizen, the head of Crimea's FMS, Pyotr Yarosh, declared the job "complete," with 1.56 million Crimeans in possession of documentation confirming their Russian citizenship, the Interfax news agency reported. As a consequence, those left unregistered are often grouped together with the flood of refugees from the conflict in eastern Ukraine, who are portrayed as scammers trying to take advantage of the simplified Russian citizenship scheme. "Citizens often try to prove their permanent residency in Crimea … with a receipt of a single visit to the dentist or the vet," Irina Boiko, head of the regional FMS' citizenship and asylum department, told the Moskovsky Komsomolets newspaper in May. "They provide a single receipt of a doctor's appointment and say: 'On March 18, I lived here!'" Boiko said, adding the FMS was conducting thorough background checks on applicants to prevent fraud. Pamfilova, the human rights ombudswoman, however, sees a real problem. "It is an urgent problem and complaints from the group of affected Crimean residents toward the court system and migration services are justified," she wrote in her department's annual report. As she exited the FMS office in Yalta, Olya, the young woman who was mistaken for a man in her first Russian passport, gave a defeated shrug. 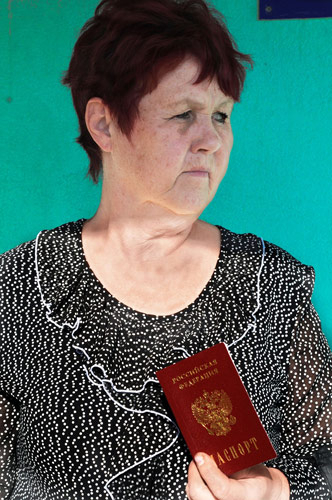 "It's not ready yet," she said, referring to the corrected version of her Russian passport. "They told me to try again sometime next week." 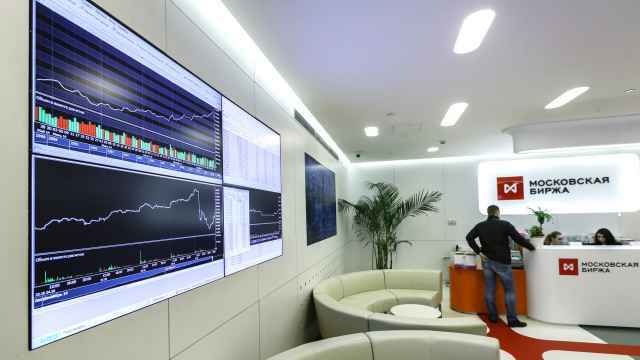 Others with more luck left the FMS premises with the shiny, dark red booklets in hand, fastidiously double-checking every letter out of concern of spotting a crucial mistake. Some people jumped up and down and hugged their relatives with joy at having reached the end of the process. "I thought I would be happier," she said. "A year ago [a Russian passport] was all I wanted. But after all of 'this,' I don't know what to feel anymore."